LG electronics is a multinational electronics company that has been introducing the latest advanced television, mobile, tablet, fitness monitors and smart watch every year. LG mobiles and smart phones have been becoming popular among other brands of smart phones. This company has been introduced advancements in its products under the category smart phones. Let us discuss some features of the best and popular LG mobile phones. LG optimus G pro is one of the popular and top rated smart phones in the market. The key features of this mobile model are its full HD display, 3,140mAh battery and 13 MP with full HD camera. The screen display measures about 13.97 cm. it provides complete HD IPS display along with 16:9 view of watching cinema and 400 ppi to provide superior graphics, sharp text, accurate colors, dazzling images and delivering a great experience to the user with no eyestrain or oversaturation. 13 MP feature of this mobile let user to capture vibrant and amazing pictures with the help of HD featured rear facing camera. The clarity of the image is also retained if it is zoomed in further. In addition to this the front facing camera with 2.1 MP featured is best for users to do video chat or take self portraits. One of the best features of this mobile is its processor. The processor used in this mobile is QUALCOMM snapdragon with 1.75GHZ and quad core CPU. This provides outstanding performance for apps, games, seamless connectivity and fast web browsing without sacrificing the battery life. Four cores of this processor offer overall CPU performance to the mobile that can manage and run several apps at a time while offering efficient cross tasking. Some of its specifications are the capacity of its external memory is up to 64 GB and 16GB internal memory storage. 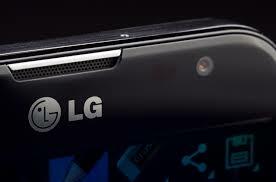 Next LG pro LITE is another model of LG mobile phones that occupies best rank in the market. Some of the key features of this mobile phone are power by android platform, dual SIM, quick memo and true color display with IPS. The display screen measures about 13.97 cm with IPS display feature in order to deliver more immersive and bigger picture along with detailed images and true colors. Users can see everything through this mobile with lucid color and maximum clarity to have greater enjoyment in their hand. This mobile is also featured with 8 MP BSI that let users to take picture with their creativity to express the moment. This feature provides detailed imagery and improves the sharpness of the pictures even in fade light. The 3,140 MAH battery of this mobile last for long time and people who go for long travel can get benefited by it. People can enjoy music with the feature of dual speaker. In this mobile phone there are two speakers for low pitch and high pitch voices. Users can enjoy the music well even without using the headphones. It can support 32GB external memory. Internal memory storage space is 8GB.